Stefa wins my Best in Show award hands down :) It's no secret that pigs are incredibly smart and Stefa is a beautiful reminder of that. Knowing how smart they are makes it even harder to stomach the thought of millions of pigs suffering in concrete pens in factory farms, constantly being bred only to be slaughtered. While watching little Stefa perfectly nail a series of dog tricks, I can't help but think about one of the biggest injustices in the way animals are treated -- if a dog was ever treated the way most pigs in Australia are there would be a riot. (Not to mention it would be illegal). Only recently there was massive outrage about the Yulin dog eating festival in China. And among the outraged was myself! It's horrible to think of dogs being killed and eaten. But I have to wonder, would anyone bat an eyelid at a hot dog eating festival right here in Australia? I would like to think that people would be outraged -- especially if they could see how they're treated. It's horrible to think of pigs being killed and eaten. I often hear Aussies say that we need to fix the problems we have here at home before we start worrying about what's happening elsewhere in the world. I wouldn't say that I necessarily agree (I think we can achieve both) but I do know that the power to protect animals from cruelty here in Australia is entirely in our hands. While we couldn't save the animals who were killed as part of the Yulin dog eating festival, we can save the animals who are being slaughtered for their meat every single day in Australia. It's as simple as choosing to value animals like Stefa the pig for who they are and taking them off your plate. 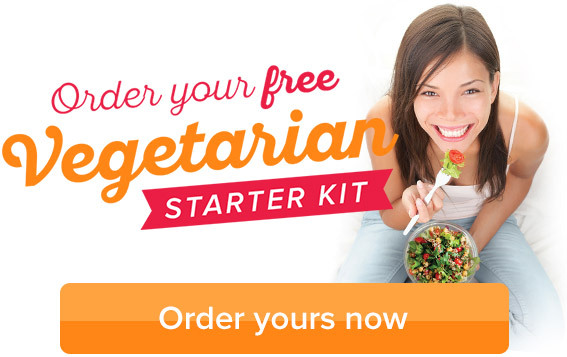 And we've got meat-free recipes and handy tips to get you started. Wow. How would you react to this? Wow. Do you feel like those stunned audience members right now? It's a scary thought isn't it, that marketers can make terrible cruelty sound like a good idea. What are you doing to help free animals in factory farms? Tell us about it below.